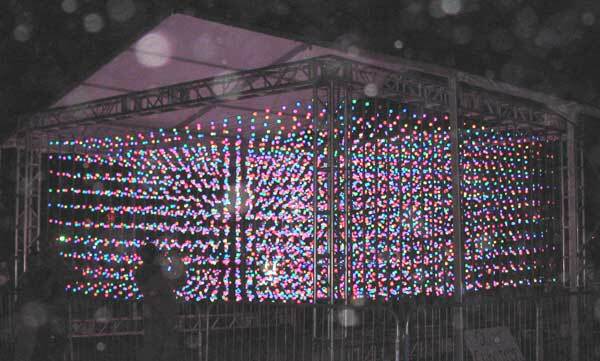 The Quad Cubatron is a 3-dimensional array of lights, arranged 24 by 24 wide and 10 high for a total of 5760 lights. Physically it is about 20x20 feet wide and 10 feet high. 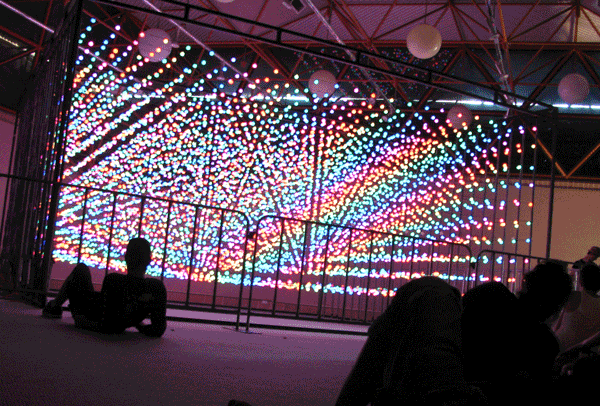 Each light is independently controllable to display any color and brightness and the entire display can be updated 50 times per second. 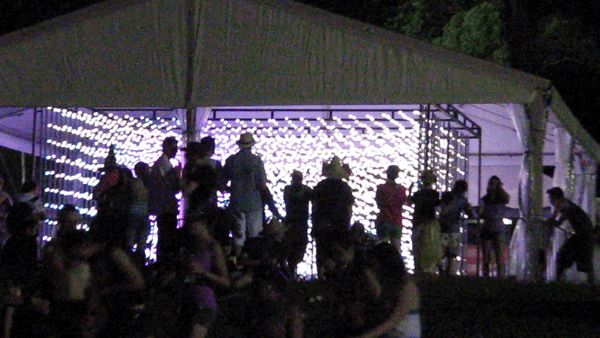 The Quad Cubatron currently runs a continuous loop of about 35 different effects, lasting about a minute each. The Quad Cubatron is best understood by watching a video of it. Try searching YouTube for Cubatron. January 20-February 4, 2008. The Big Day Out festival. Gold Coast, Sydney, Melbourne, Adelaide and Perth. Australia. April 10, 2008. 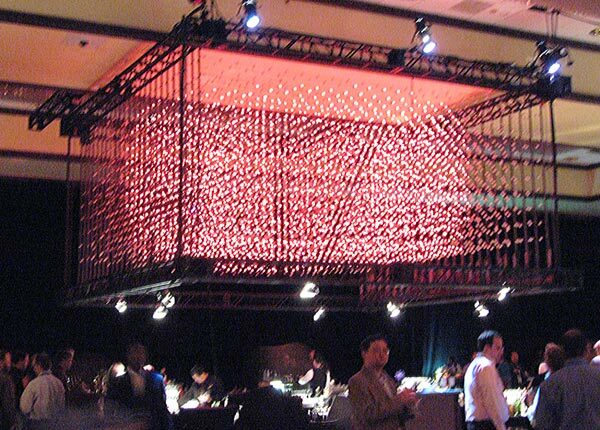 RSA Conference, Codebreakers Bash. San Francisco, CA. April 25-27, 2008. Coachella Music and Arts Festival. Indio, CA. May 2-4, 2008. Stagecoach Music Festival. Indio, CA. June 28, 2008. Electric Daisy Carnival. Los Angeles, CA. July 25-27, 2008. 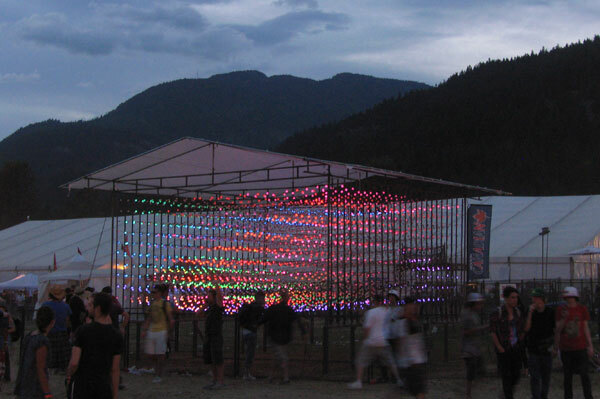 Pemberton Festival. Pemberton, BC, Canada. August 29-31, 2008. Electric Picnic Music and Arts Festival. Ireland. November 20, 2008. Night Lights on the Canal. Scottsdale, AZ. outdoor tent, Gold Coast, Australia. January 20, 2008.
chill zone, Perth, Australia. February 4, 2008. Cubatron Bar, Codebreakers Bash, SF, CA. April 10, 2008. Coachella Music and Arts Festival, Indio, CA. April 26, 2008. Electric Daisy Carnival, Los Angeles, CA. June 28, 2008. Pemberton Festival, Pemberton, BC, Canada. July 25, 2008. Electric Picnic Music and Arts Festival, Stradbally, Laois, Ireland. 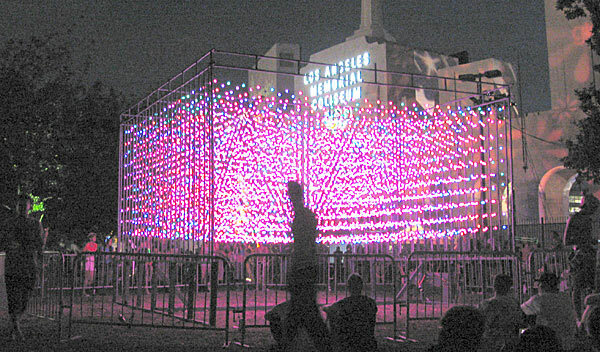 August 30, 2008. The Quad Cubatron is based on earlier versions in the Cubatron series. 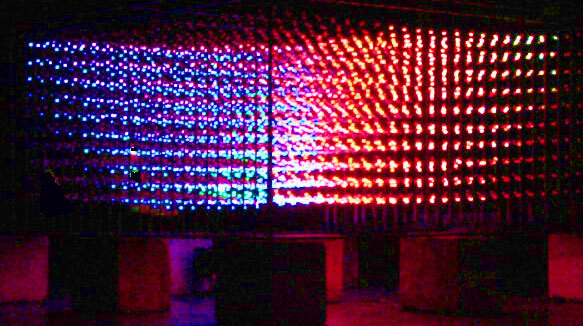 Search for Quad Cubatron on YouTube and Flickr for more video and photos.